Now You See Her by Joy Fielding, a Mysterious Review. 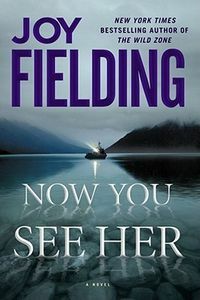 Review: Joy Fielding captures the heartbreak of a 52-year-old mother, whose daughter was lost in the cold waters of Georgian Bay but whose body was never found, in Now You See Her, a novel of suspense. Marcy Taggart believes her daughter, Devon, may be out there, somewhere, alive and well. It's been a difficult two years since Devon's presumed death, and now it's just gotten worse: while planning a trip to Ireland to celebrate their 25th wedding anniversary, Marcy's husband asks for a divorce as he's fallen in love with someone else. Marcy's older sister convinces her to go ahead with the trip to Ireland, a first step in rebuilding her life. But while strolling down a street, she's sure she sees Devon in the distance … but loses sight of her in the crowd. Showing her picture around, someone in a small pub recognizes her, but knows her as Audrey. She's desperate to find Devon — or Audrey — and knows that until she does, she'll never be at peace. Though much of the suspense of Now You See Her is derived from Marcy's search for her daughter, and the potentially suspicious motives of those who she enlists to help her, it is the Marcy herself that will compel readers to continue turning the pages. A deeply conflicted woman, her strength is at times her most telling weakness, and her story is one that is both troubling and rewarding … and well worth getting to know. Special thanks to guest reviewer Betty of The Betz Review for contributing her review of Now You See Her. Acknowledgment: Simon & Schuster provided a copy of Now You See Her for this review.